This article was originally published on March 4, 2011, in the Shenzhen Daily. 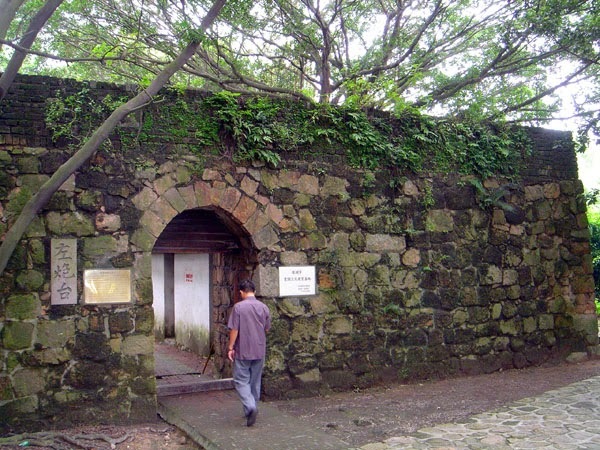 Entrance to the barracks area; the gun platform is up some stairs inside. Once again, we find that the "brand-new" city of Shenzhen has much deeper roots than we suspected. On the way to Chiwan on the 226 bus (which you can now catch at Shekou Sea World stop [海上世界] on the new Shekou Metro Line) there is a stop called Zuo Pao Tai (左炮台), or "Left Fort" (literally "Left Cannon Platform"). 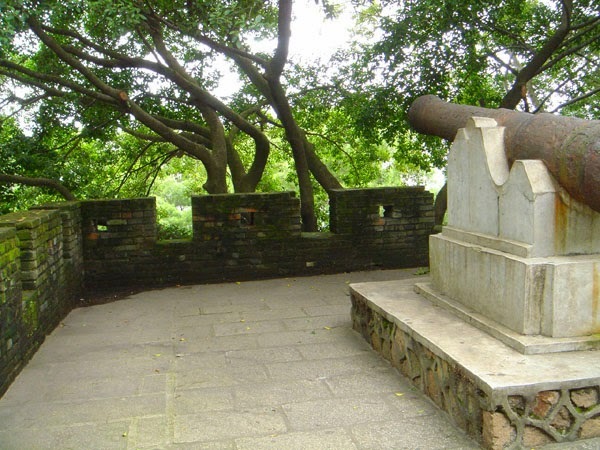 If you get off there and walk up the road winding around the nearby hill, you'll find the partially-restored remains of a gun emplacement from the days of the Anglo-Chinese Wars or "Opium Wars" of the 19th century. What happened essentially was this: British and American merchants were importing opium into China illegally; for both economic and social reasons, the Emperor demanded immediate steps to halt this. 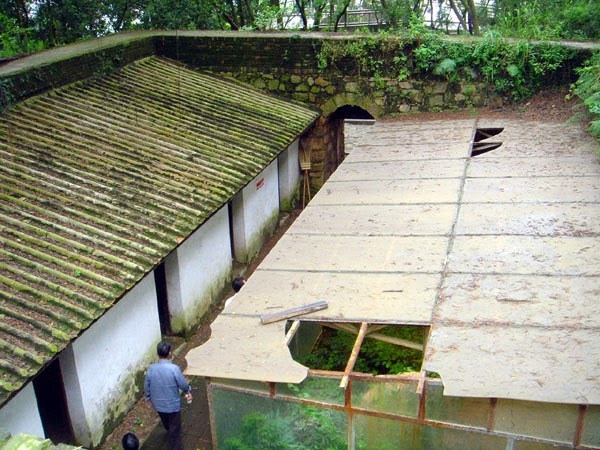 The Left Fort, then--along with the nearby Right Fort, on the other side of the bay--was a key point of defense when the British troops were sailing up the Pearl River to Guangzhou. 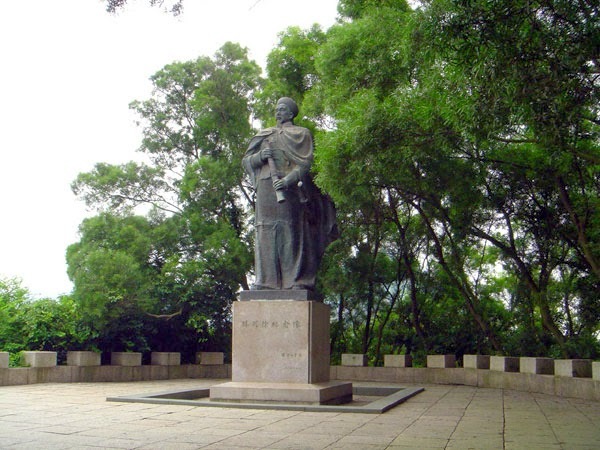 Today you can see one of the formerly twelve guns, and a marvelous statue commemorating hero Lin Zexu's role in the affair. Also on site are the remains of some barracks, ancient trees, and a platform with a beautiful view of the surroundings. This site is also mentioned in my article "A Walk in Chiwan."